Behold MUMBAI as Sunset Cinema Club unlocks the door to bring back the magical world of Hogwarts to the your city! 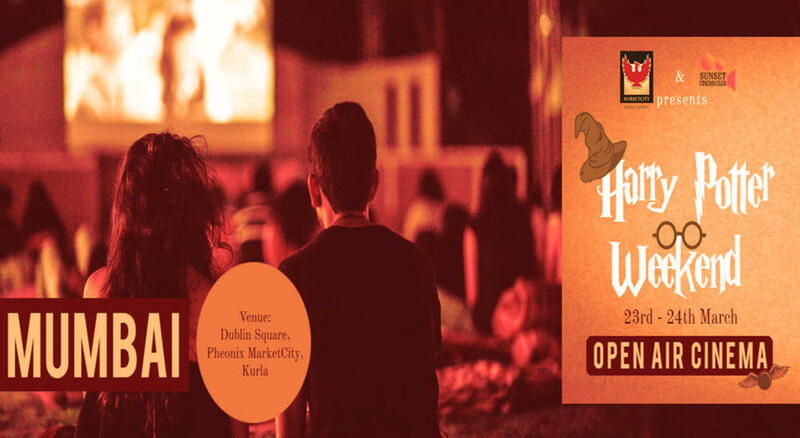 Potter heads prepare your portkeys to lead you to Phoenix MarketCity for a very special open air cinema experience featuring Harry and friends. Bring your wands and brooms along but leave the muggles behind for this would be a weekend for true blood wizards and witches. Cosplay would be encouraged and rewarded by the ministry of magic ! A variety of F&B options would be available at the venue. Seating will be a mix of bean bags and mattresses. Gates open at 7 PM and screening starts at 7:30 PM on each day.